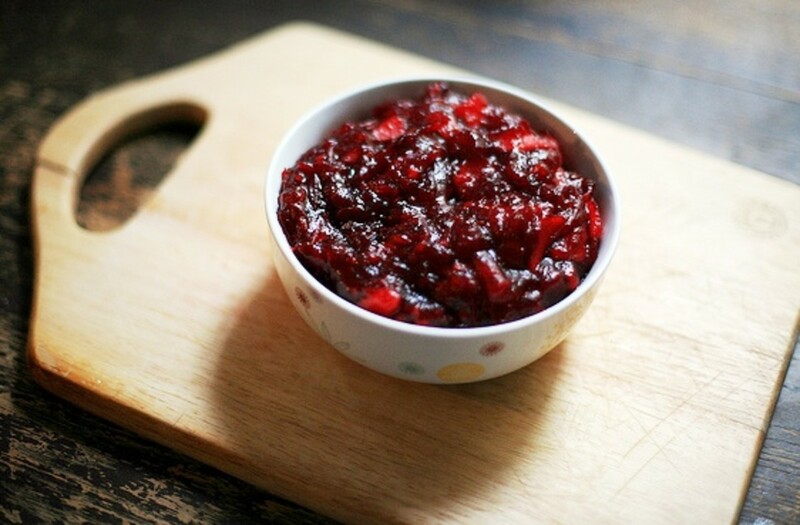 Cranberry Applesauce is a delicious side dish that is perfect for the holidays. The red color adds to the holiday table and it is a great accompaniment for the holiday turkey or ham. I was in the mood to experiment in my kitchen and I had some apples that needed to be cooked up. I love cranberries and also had some in my freezer so I decided to try mixing the apples with the cranberries. I decided to add a bit of cloves to flavor the dish and used Splenda to keep down the calories. The result was a healthy and delicious dish that I really enjoyed. I have served it time and again, especially around the holidays. Would you mix cranberries and applesauce? When I was creating my new recipe, my husband said "Where did you get the idea of combining applesauce and cranberries? Why did an idea like that even come into your head?". He likes his applesauce and he likes cranberries, but he wants them each separate. What do you think? 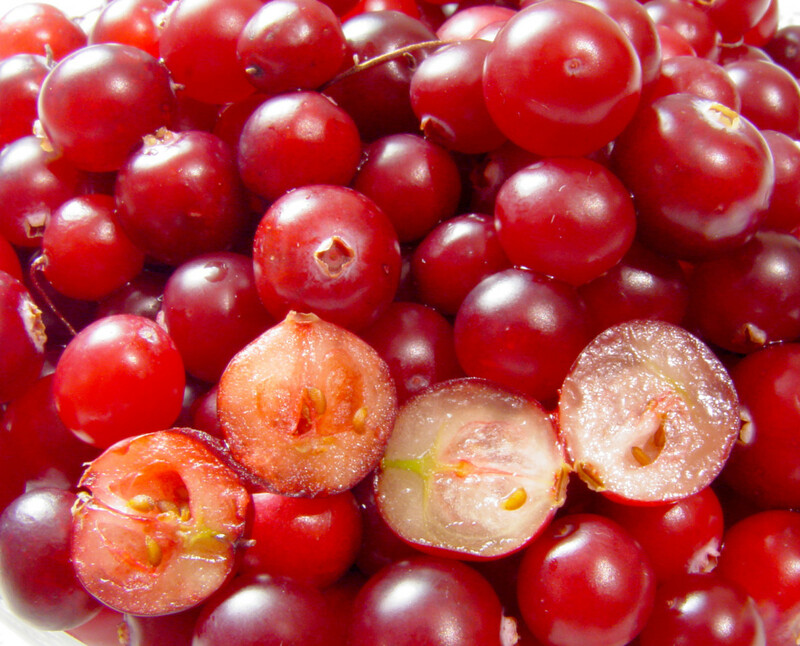 Do you like the idea of cranberry applesauce? I'm not a fan of cranberries. Add all ingredients together in a small pot. Cook until apples are soft enough to mash (about 10 minutes). Mash to desired texture. Cool. Store in refrigerator. 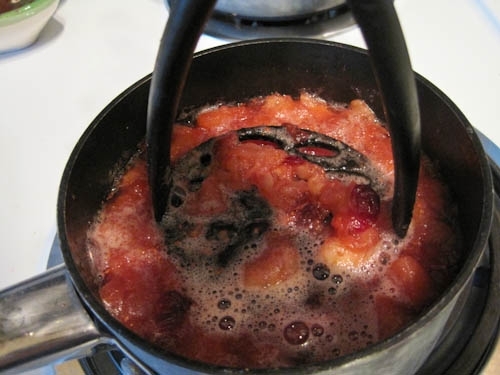 You want to cook the apples and cranberries until you can easily mash them into the sauce. 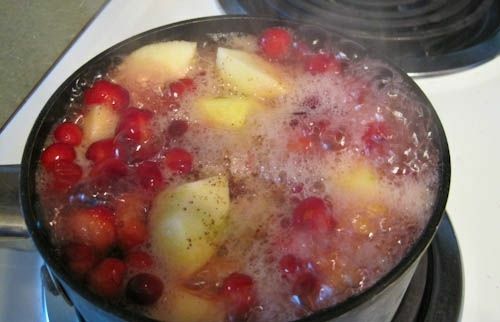 I find that it takes about 10 minutes for the apples and cranberries to cook to the right consistency. After about 8 minutes I get out my masher and try mashing the mixture while it is still cooking. If it mashes easily I remove it from the heat and go to the next step. If the apples still seem rather firm I will continue to cook them a few minutes longer. You should mash the mixture until it is the consistency that you enjoy. I like mine with a few lumps but if you like yours smoother just mash a bit longer. It will seem a bit runny at first but as the applesauce sits it will absorb more of the liquid. The first time I made this I was unsure if I was doing it right, but I soon found out you really can't mess it up. Sometimes it is more runny than others, but always a taste treat! I love using this type of masher for my applesauce. It makes the process work really smooth. Perfect masher for applesauce too! Holiday Serving Bowl - winterberry design. This is the bowl I used to serve my cranberry applesauce during the Christmas holiday season. 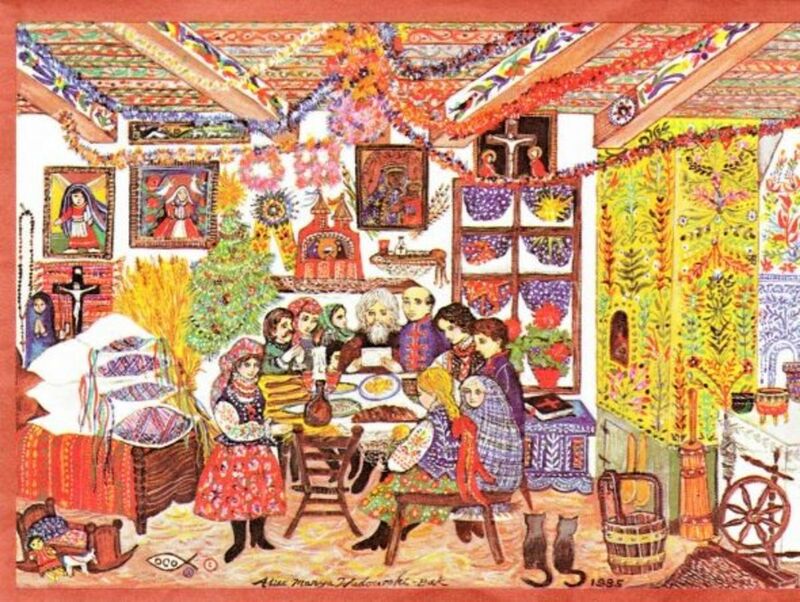 It is very festive for the holidays and a great accompaniment to your holiday meals. This is the perfect size bowl for cranberry applesauce or any other small side dish. I love both of them and have had both of them in recipes before. I am going to share this on my pinterest. This looks and sounds like such a fantastic recipe. I want to try it this year for Thanksgiving myself. They look great together. Pinned it to my food and recipe board, so I can make it sometime. This sound good. I'd love the mixed flavor for an applesauce. I have never thought of combining applesauce with other fruits but what a wonderful recipe idea. I can imagine there are other combinations such as strawberry and raspberry that would work well too. Oh now I am excited. No, I've never tried it but it sounds delicious. 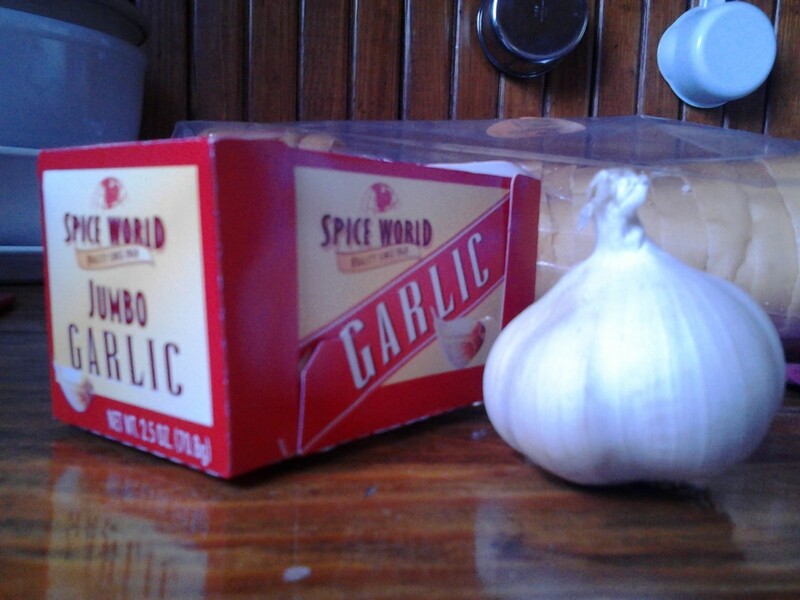 I think cloves will give it a great flavor. I will definitely be trying your cranberry applesauce recipe. I will probably use brown sugar in my version. 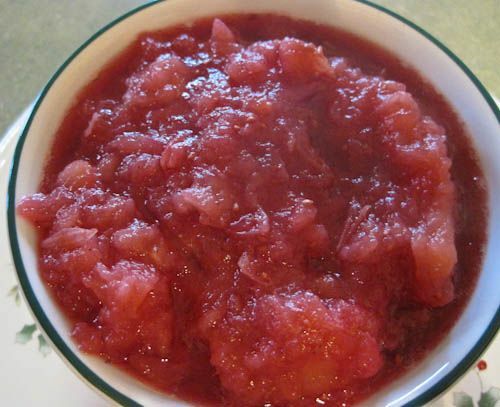 My daughter makes a great cranberry applesauce. She puts all sorts of fruits into her applesauce like plums, mango and kiwi. They all are great. This is such an easy recipe, everyone, including me, could make it! Your cranberry applesauce sounds great! I used to make applesauce for my daughter when she was very young (long long ago) but I'm sure I'd like it better with cranberries added. I have never tried Cranberry Applesauce, but your recipe sounds delicious. 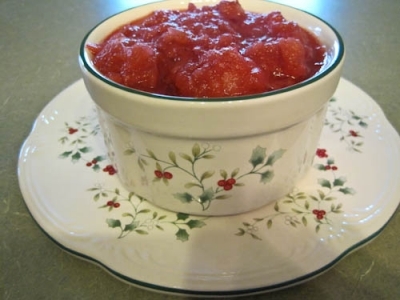 Since I like cranberries and applesauce, I bet I will love you Cranberry Applesauce recipe! I haven't tried it but I love applesauce so I will give it a whirl! Aren't you the clever cook? Thanks for the recipe. No, but it sounds delicious. cranberry apple sauce is really really good I eat it a lot.